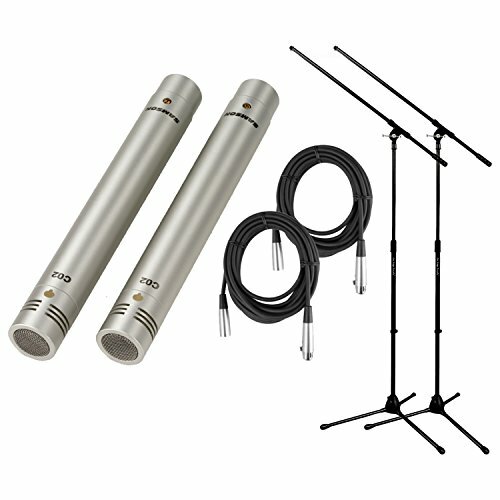 Samson C02 Pencil Condenser Microphone Pair Bundle w/Case, 2 20' XLR Mic Cables, and 2 Boom Stands by Samson Technologies at IGWT. MPN: C02. Hurry! Limited time offer. Offer valid only while supplies last. The Samson C02 pencil style condenser microphone excels in both live performance and recording applications and come in a convenient stereo pair.